When I originally conceived this annual feature, the idea was to link pictures of the places I visited with ideas for stories, favorite movies or strange/funny anecdotes. Well, have I got one for you folks this year. While spending some time at Big Bass Lake in the Poconos Mountains, jaunts through Gouldsboro to grab provisions were inevitable. 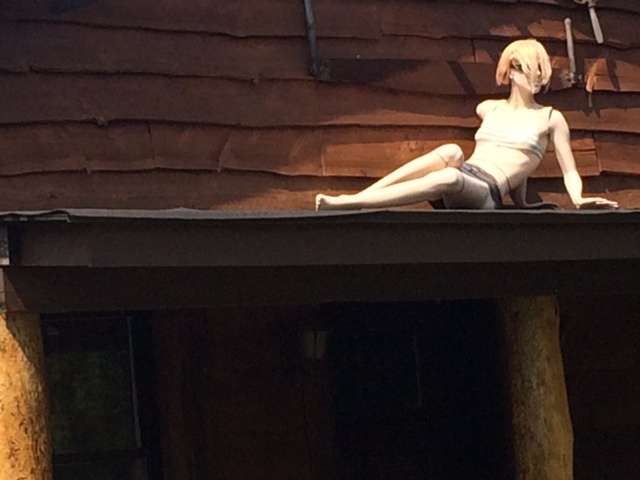 It was on one fateful evening when we first got a glimpse of this saucy mannequin gracing the roof of a house like a pin-up model atop a Corvette’s hood. We laughed, but then noticed that mannequin was not alone, and a whole family of mannequins were strewn about the yard in various poses, like they were a family. We laughed nervously now, and then on the way back I tried to convince the others to stop so we could grab some pictures. Suddenly, to our horror, a man (who looked like he walked off the set of True Detective Season One) was coming out of the side of the house (likely for the nightly inspection of his Mannequin Family) just as we were passing…prompting us to keep on passing (praying he didn’t see how slow we passed, with our shocked gawking), only to pass a few moments later an abandoned double-wide trailer in the high weeds out of which came stumbling three tottering, torn-up, turned-out characters who looked like they wanted to hitchhike if only they could find the road five feet in front of them. I imagined the trailer as part of the same Mannequin Cult Compound where meth-heads and drunks were lured by the Yellow King of Carcosa to be murdered and turned into mannequins to join the family. 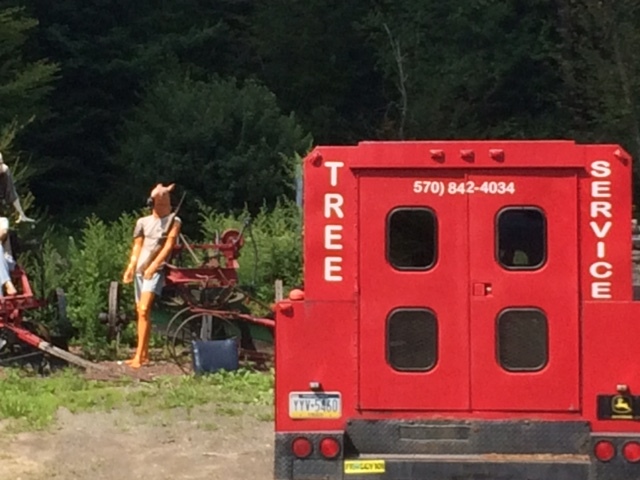 The next morning I forced my significant other to pass by the site again, and this time we noticed another shop that had a creepy mannequin in the window (clearly the other boundary of what I was now referring to as The Poconos Mountain Mannequin Murder Cult Compound). This time we got some pictures (like the ones above) – and narrowly escaped by the skin of our teeth (alas, no shots of the double-wide trailer were taken for fear of our lives). And one day, a screenplay will be written. 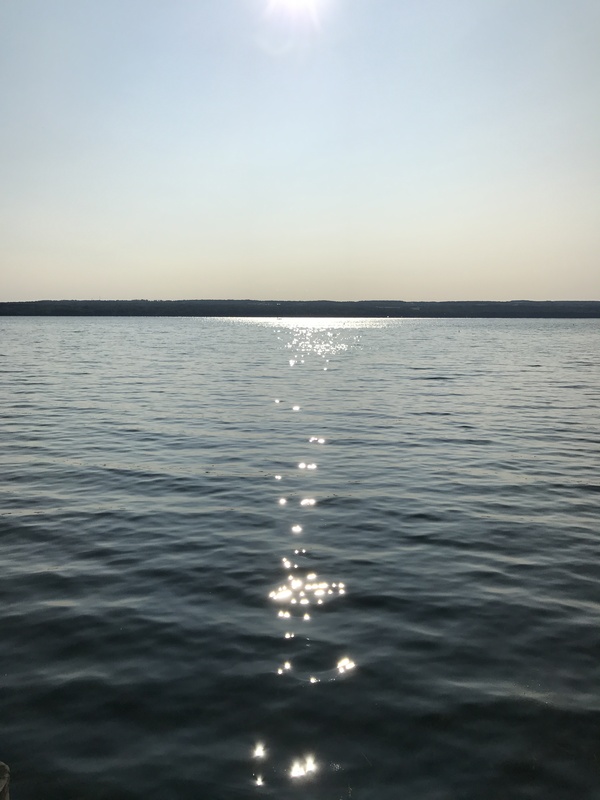 Oh, and there were also more mundane, relaxing, less horror-movie-like trips to Saratoga Springs, NY (which included a stop at the lovely Yaddo Artist’s Retreat); Washington DC; and as always Cape May and Wildwood. With a big trip to France next month (and an excursion to Chicago already in the past), it’s been a wonderful, weird and wild traveling year, with the best hopefully yet to come. 2014 was marked by part-time Canadian living in Mississauga in the first half of the year and then big trips to Dublin, Ireland in the spring; San Francisco in the fall; and finally Boston (where we rang in the New Year). But in between all that, there was plenty of day-tripping in the greater tri-state area from where these shots were captured. Most notable, perhaps from a WTF perspective, were the infamous person in a pickle costume in Lancaster, PA (insert your own story here) and the insane doll-parts strewn Gloria Vanderbilt Dream Box art installation at Grounds for Sculpture in Hamilton, NJ. I took a half-hearted stab at a local dining guide years ago, and at some point many of the restaurants listed below received a shout out in one way or another from The Spin or on my Twitter…but I decided it would be fun to traverse the eastern part of North America and crown a best restaurant in each favorite stomping ground. Our journey begins way down yonder in my former homeland of Nor’ Cackalacky. We’ll revisit some of my local favorites in Philly and the Jersey Burbs. We’ll travel far north through New York (and slighty west) all the way up into the land of expense accounts and Canucks. Prepare your taste buds, your credit cards, your hybrid vehicles (only if you have a designated driver) and/or your frequent flier miles….here is The Spin on My Favorite Eats in My Favorite Haunts. Raleigh, North Carolina – Babylon (309 N. Dawson St.) – I have no idea why a restaurant serving Moroccan food is called Babylon. Would Casablanca have been somehow un-PC or Marrakesh too obvious? 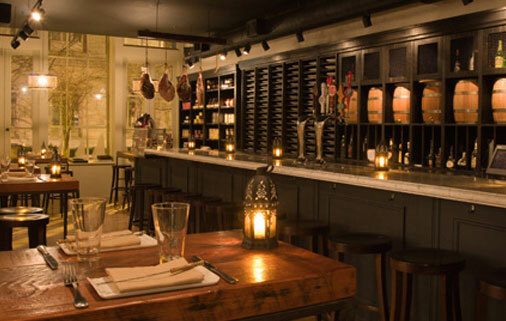 But weird geographical naming faux-pas aside, this uber-trendy mecca of Raleigh’s liberal elite located fashionably downtown serves up organic, locally raised Moroccan and Middle Eastern-inspired cuisine that rivals any of your bigger city Northeast rivals. 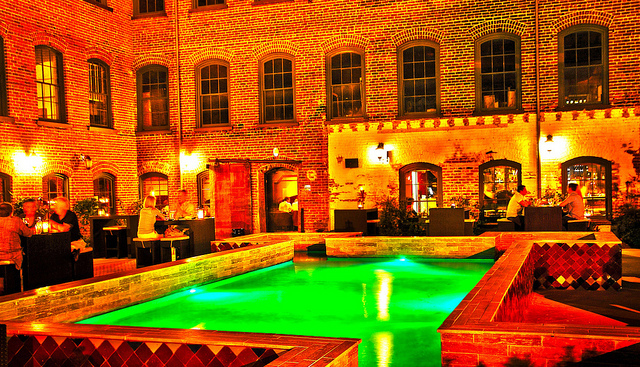 The ambiance is casual urban chic, the service impeccable, and the food fresh, hip and flavorful. Really, Raleigh, whodathunk? You go, with your emerging multicultural self! Walker Evans (1903-1975) was undoubtedly one of America’s greatest photographers. His black-and-white images stand as time capsules of an America now gone but still familiar. Evans is best known for his iconic images of sharecroppers hit hard by The Great Depression as part of his work for the Farm Security Administration. During my recent visit to Cooperstown, NY and the Fenimore Art Museum, I was able to see their amazing collection of Walker Evans’ photographs. I was struck most not by his most famous images from the Dust Bowl and America’s Heartland, but by his images of America’s East Coast during the same time period. His photographs of people and places spanning the hardened core of America’s original thirteen states from New York City to Atlanta captured an America that was shell-shocked but resilient, an over-developed and industrialized stretch of the Eastern Seaboard that was crumbling and decaying but populated by survivors — an America that would eventually pull through the Great Depression and produce the Greatest Generation defined by their heroic actions in World War Two.